Snow returned to Darjeeling town within a month on Tuesday, cheering tourists and residents alike. Though the flakes came down for two-and-half hours, the intensity was less and so was the deposition of ice. 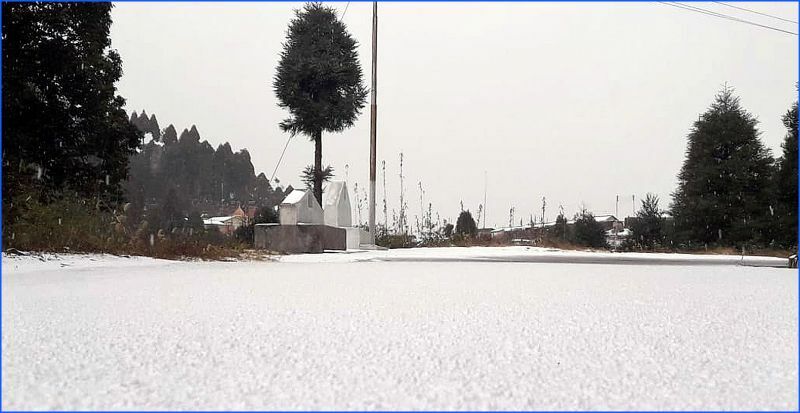 However, some other locations in the district like Dhotrey, around 40km from Darjeeling, and Sandakphu turned white. It had last snowed in Darjeeling on December 28 last year after a decade. The earlier snowfall was on January 26, 2008. On Tuesday, the snowfall started around 11.30am in the town and some other areas of the hills. It continued till 2pm, prompting hundreds to pour into the streets. “We were here to enjoy the chill and the view of Kanchenjungha. The snowfall came as a surprise for us. We have read in newspapers about the earlier round of snowfall that had occurred here on last month but had never thought that we too, will have a similar experience,” said Rajib Dutta of Barrackpore, who is on a family trip. Several were seen swarming at the Chowrasta while others stood in front of the hotels or walked through the streets, enjoying the snowfall. 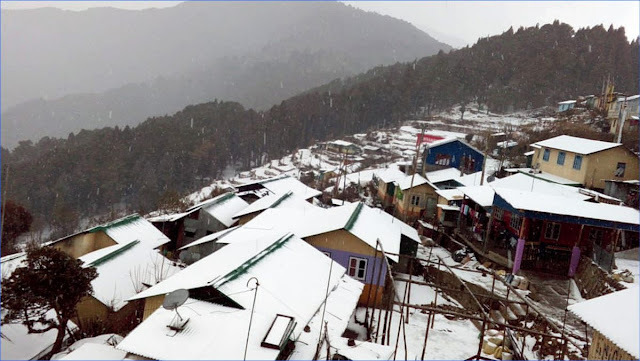 As the news spread, a number of locals and even some tourists hired vehicles and took a trip to Dhotrey, a tiny hilly hamlet nestled near Sukhiapokhri, as it got covered in a white blanket. “It is indeed great to have snowfall twice in Darjeeling during the winters. It has never happened in past 10-15 years. We feel the snowfall will pull in more tourists to the hills in the winter months,” said Bishal Lama, who is associated with the travel industry. In Sikkim, sources said, it snowed in some of the upper reaches of the state on Thursday. “There has been a change in the weather as a western disturbance is active in the area and has created an upper air trough. This has led to the sudden snowfall due to which, the minimum temperature will come down during the night hours. However, the weather conditions will soon change,” said a weather expert. According to sources at the Met Office, the minimum temperature in Darjeeling during past 24 hours was 3.8 degree Celsius while in Gangtok, it was 5.2 degrees and 8 degrees in Kalimpong.